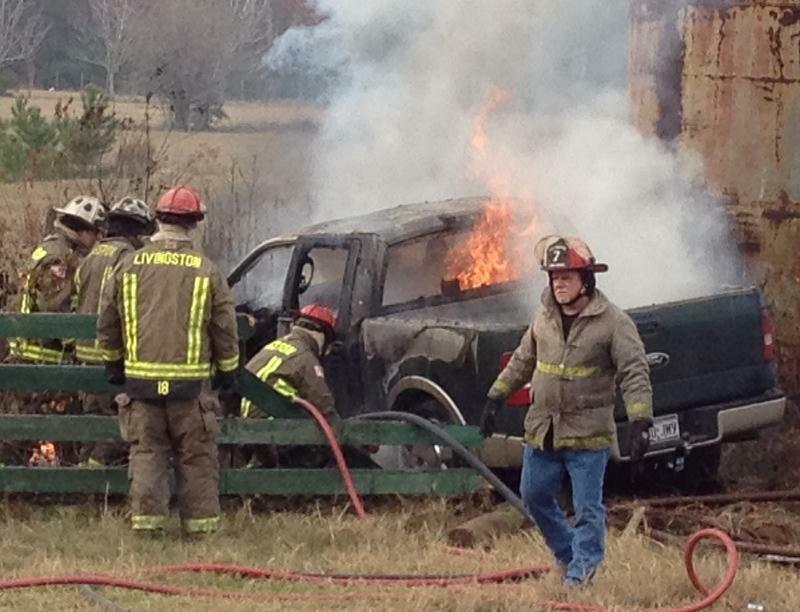 55 year old Janet Lee Parmer was pulled from this burning truck by Larry Redden, Jr. (both of Livingston). Heroic Actions, Man Pulls Victim From Burning Truck, LIVINGSTON, December 19, 2011 - At approximately 10:30 am on December 19, 2011, a green 2007 Ford F-150 driven by Janet Lee Parmer, 55, of Livingston, turned off US-146 onto Myrow Road and blacked out. Parmer's truck left the road to the right, jumped a ditch, crashed through a fence and slammed into a berm. Parmer's airbag deployed and is believed to have sparked a fire. 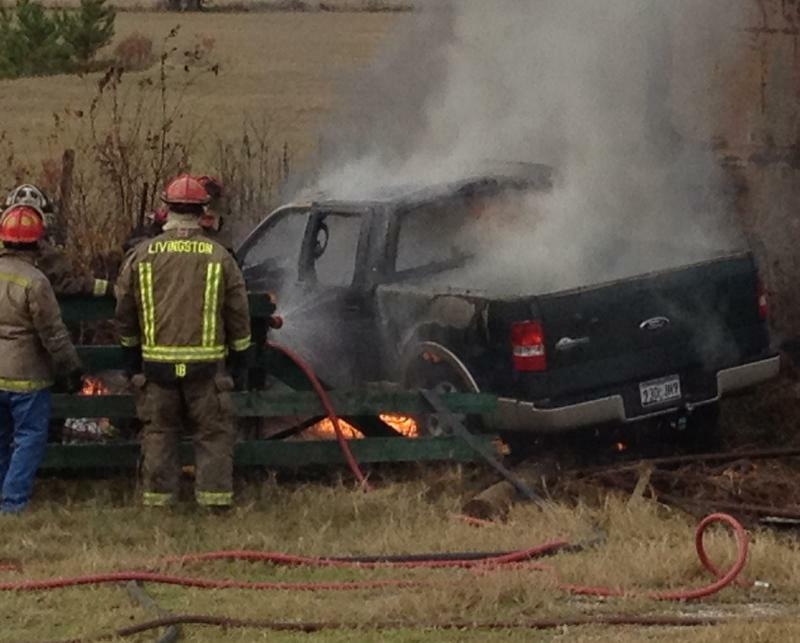 Unconscious and vehicle on fire, Parmer laid motionless in her truck. 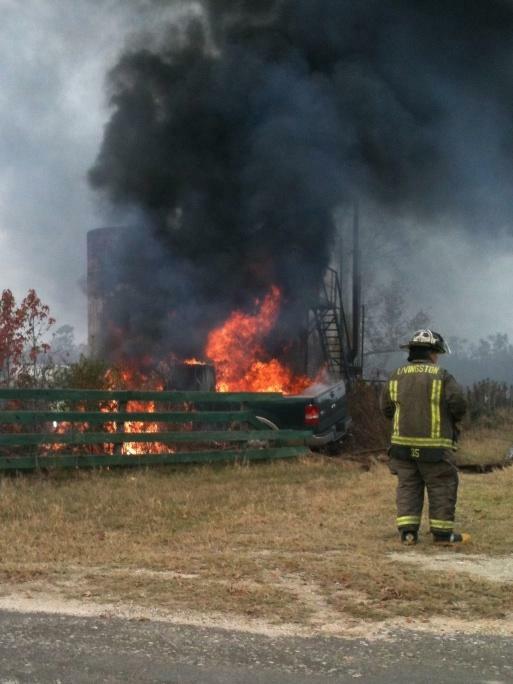 A witness, Larry Redden, Jr. ran up to the burning truck and couldn't get Parmer out cause the door wouldn't open. Redden smashed the window and pulled Parmer to safety (about 30 yards away from the truck). 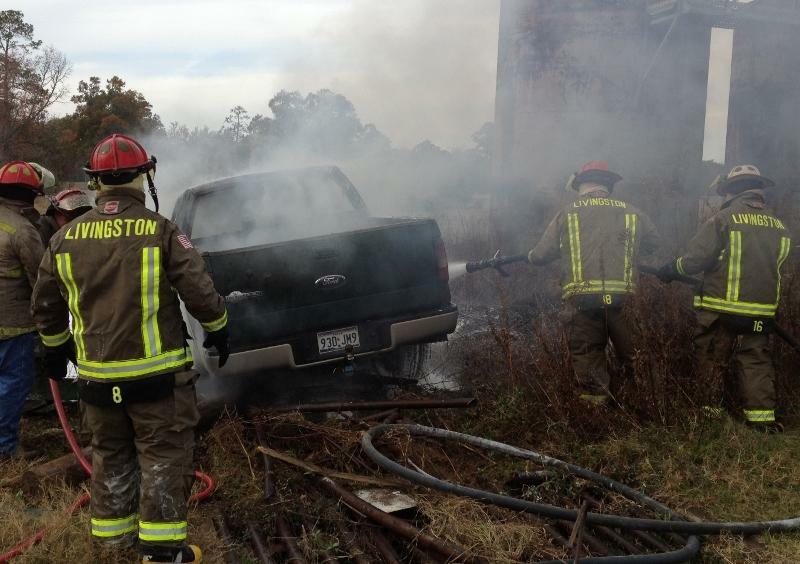 When Redden turned around, the truck was engulfed in flames. Americare Ambulance Service was dispatched to the scene along the Livingston Volunteer Fire Department, and several Troopers , including Trooper David Flowers. Parmer was transported to Livingston Memorial Hospital, and later flown to Hermann Hospital in Houston by PHi Air Medical Helicopter. 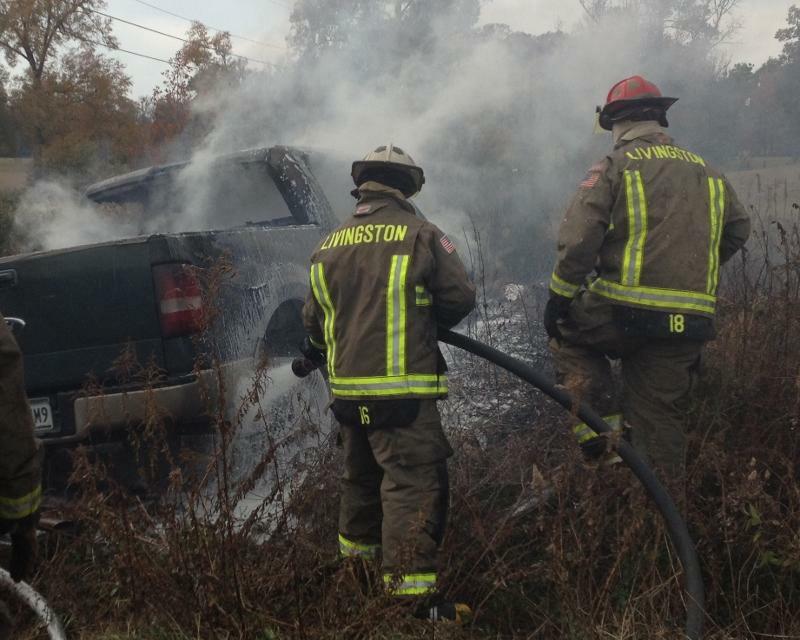 The fire was extinguished and the vehicle was recovered by Ken's Towing and will be stored at Harrison Body Shop in Livingston. Larry Redden, Jr. may get officially recognized by the Texas Department of Public Safety for his heroic actions in saving Janet Parmer's life.